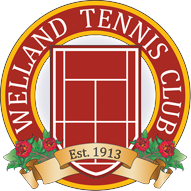 The Rose City tournament has been an annual event at the Welland Tennis Club since 1966 and continues to attract some of the top talent from around the region. The event is open to members and non-members of the Club in a variety of divisions. 2019 is the first year that we will play the tournament over two weekends! The entry fee includes a guaranteed 2 matches and a dinner ticket for Friday night.